Before I start my article I want to introduce myself, my name is Nitesh, from India I really apologized for my English grammatical mistakes hope you understand me. Today I will show you the Indian Goat Fattening Techniques, in India the fattening techniques for goat are traditional some peoples have mastery of it. Nobody shares his techniques with other. 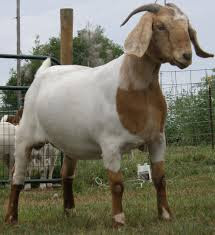 By using this goat fattening technique the indian goat keeper makes his goat above 100+ in weight it techniques is called "Khurak". I want to show you how to make this khurak, hope you like this video and make the khurak for your goat. If you like this video then please share this video and subscribe my youtube channel.